My Son’s Autism Changed Everything – Even the Church: Sandra Peoples from our Key Ministry team authored a wonderful article in Christianity Today in which she discusses the challenges her family faced when their son (James) was diagnosed with an autism spectrum disorder, how the church in which her husband served as senior pastor rallied around their family, and how the response of the church to families of kids with special needs is changing. Fitting in at church…by Anonymous: A wonderful, first-person description of attending church written by a college student with Asperger’s Disorder. Ten truths for parents of kids with autism…Colleen Swindoll-Thompson: Colleen shares the lessons she’s learned after nearly twenty years of parenting her son (Jonathan) with autism spectrum disorder. Emily Colson…Becoming still: The best-selling author of Dancing with Max shares her personal witness of how God has used her son with autism (Max) to bless so many lives. I had no plan…Jeff Davidson: A reflection from an accomplished pastor, disability ministry leader…and the father of a 15 year old son with autism. One Family’s Journey in the Bible Belt…guest post from Stephanie Prosser: A mother and autism advocate describes her family’s experience of searching for a church in Abilene, TX where she, her husband and her son would be able to regularly attend church as a family. A Success Story From My Church: A story from Bay Presbyterian Church in Ohio is a reminder of the difference inclusion ministry done well can make in the lives of the families served. “Doing church” when kids struggle with social communication: A look at the challenges someone with difficulty picking up on body language, common rules of social behavior or the tone and inflection of speech if they started attending your church. The relationship between ADHD and autism: This post examines some possible connections between ADHD and autism and examines how better understanding the overlap between the two conditions may lead to better intervention and support at church. Church: The Friendliest Place in Town? Mike Woods: A special needs ministry leader who is the father of triplet sons, all with autism spectrum disorders examines the role of the church in creating a community of people willing to develop and nurture friendships with people with special needs. 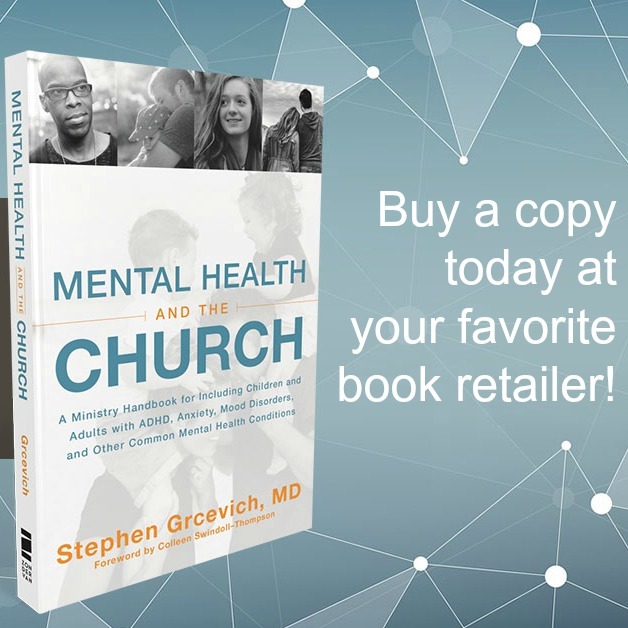 Asperger’s Disorder and Spiritual Development: Co-authored by Mike Woods, Director of the Special Friends Ministry of First Baptist Orlando and Dr. Steve Grcevich of Key Ministry. Dave Lynden…Spiritual Autism: A senior pastor and respite care advocate takes a closer look at how his understanding of God has been impacted by his experiences as the parent of a son with autism. Do I have to have surgery to open my heart to Jesus? In this interview from Inclusion Fusion 2012, Dr. Cara Daily discusses strategies for discussing abstract spiritual principles to children and teens with autism spectrum disorders. This presentation will be of interest to children’s ministry, student ministry and special needs ministry leaders. Asperger’s Disorder and Spiritual Development: In this presentation from the 2012 Children’s Ministry Web Summit, Dr. Steve Grcevich discusses strategies for churches to use in including and ministering with kids and teens with Asperger’s Disorder and their families. Sticks and Stones, Clicks and Phones: Solutions for Preventing Bullying at Church: Katie Wetherbee and Rebecca Hamilton tackled the issue of bullying at church in this presentation from Inclusion Fusion 2012. Pastors, children’s ministry leaders and volunteers need to know how to proactively prevent bullying, because sadly, this kind of behavior can—and does—occur in churches. In this presentation, They share practical strategies for changing the social culture of Sunday mornings. Katie Wetherbee interviews Chuck and Colleen Swindoll: In this two-part interview from Inclusion Fusion 2011, Chuck Swindoll and his daughter (Colleen Swindoll-Thompson) spoke at length about the impact of having a grandson (Jonathan) with autism on their family, how his presence in the family has been a blessing, and how Jonathan has helped Chuck become more effective in his ministry to people with disabilities. Older PostWhen You Get Unsolicited Advice, A SMILE Goes a VERY Long Way!